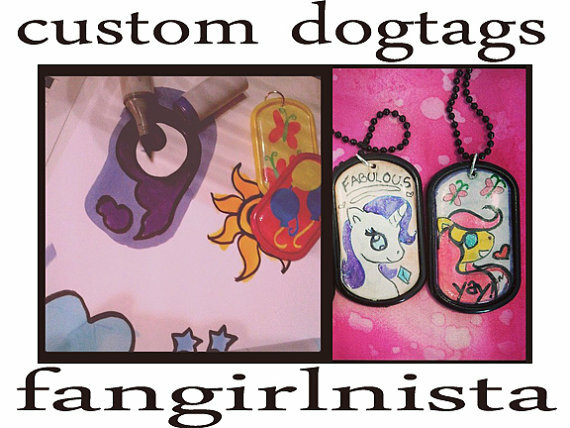 Not having the best of luck selling dog tags, so I have a listing up where people can request their own design. They start at $10, but keep in mind these are little original art pieces 🙂 drawn with copic markers and glitter gel pens. Since the works are so small cutie marks or chibi style portraits will work best.